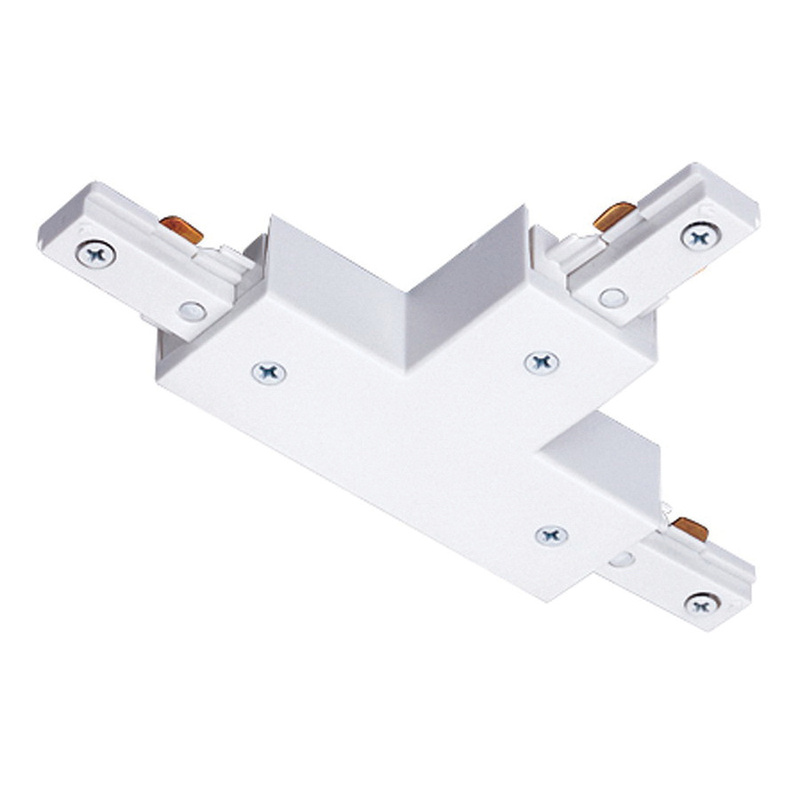 Juno Lighting Trac-Master® Collection Single circuit T-connector in white finish, has molded polycarbonate construction for impact and scratch resistance. It is compatible with 1-circuit trac system. 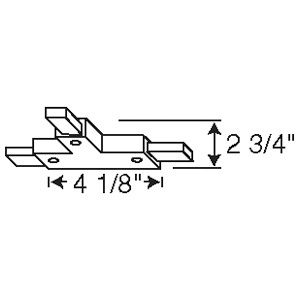 The 2-3/4-Inch T-connector is surface/pendant mountable and has a voltage rating from 120 to 277-Volts. It is suitable for outlet box feed, where a T27 cover plate is required. The T-connector meets UL and CSA standards.